These days, consumers demand more from their drinkware. 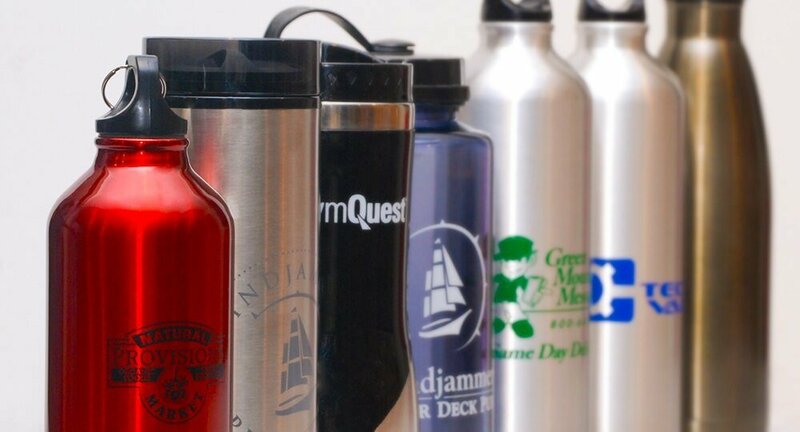 From water bottles to travel mugs, people expect their drinkware to be high-performing and high quality, so it’s great that retail brands such as Yeti and Tervis are available as promotional items! Unfortunately, as much as you may want to give away these name-brand drinkware items, the prices may be out of your budget. But that’s okay! Manufacturers have picked up on the features consumers love most about popular drinkware brands and applied them to affordable promotional items that are just as good as the retail brands. Here are 6 examples of promotional drinkware products that are comparable to the name brands—but at a price point you can afford! This 17 oz. vacuum sealed stainless steel bottle captures all of the chic aesthetics of the popular S’well brand, with plenty of unique customization options. The double-wall design keeps your drinks cold for 24 hours and hot for 12 hours. Best of all, the color and texture options from woodgrain to camper-style to metalic, are perfectly on-trend. Yeti drinkware is known for being rugged, durable, and long-lasting. This travel mug is made of double-walled stainless steel with copper vacuum insulation, making it the perfect choice for both hot and cold beverages. 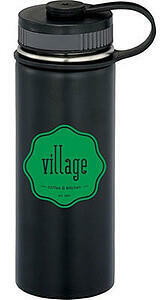 The push-on top and allows you to sip through the lid, perfect for folks on the go. Plus, the sleek matte color options echo Yeti’s famous brand look. 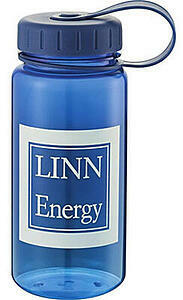 Glass is an increasingly popular choice for reusable drinkware, making this 20 oz. shatter-resistant glass bottle irresistible. The bright colors of the silicone grip make your brand stand out, while the wide mouth opening is designed to fit plenty of ice. The Trek vacuum-insulated 18 oz. wide mouth bottle keeps beverages cold for 15 hours and hot for at least 5 hours, making this bottle perfect for anyone on the go. Plus, just like Hydro Flask, this bottle's material prevents condensation on the outside and comes with a leak-proof locking cap, meaning you can stay hydrated anywhere without worry. 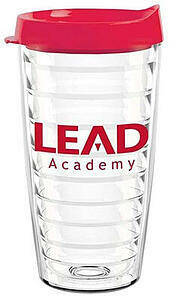 Everything you love about the classic durable Tervis tumbler is represented with this 16 oz. dishwasher-safe drinkware. The snap-on, drink-through lid with thumb slide closure and 9” straw make it the perfect sippable giveaway for promoting your brand to any audience. Nalgene is synonymous with adventure because of its reputation for durability and ease-of-use. Capture that same spirit with this sporty Fresca 18 oz bottle. With a large opening to fit plenty of ice and a leakproof cap with attached carrying loop, this is sure to become the new go-to drinkware for your recipients. The next time you’re looking for in impressive promotional drinkware item, you don’t need to break the bank. 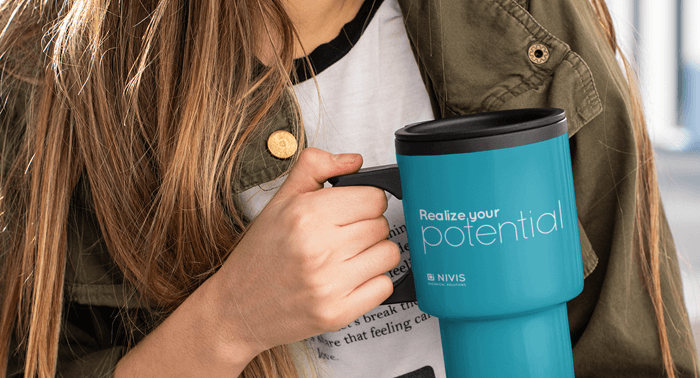 These promotional items take all the best features of popular drinkware brands and deliver them in an affordable format your recipients will love.